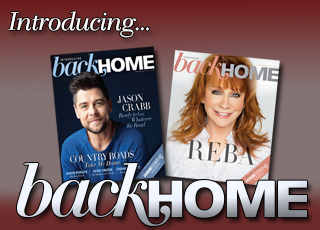 This past July, the Harmony Honors were handed out at TBN’s Music City Auditorium in Nashville. 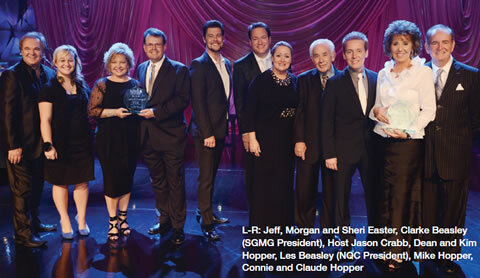 Presented by the Southern Gospel Music Guild and hosted by Jason Crabb, the evening featured an all star line-up of musical performances and appearances by the Hoppers, Jeff & Sheri Easter, Kevin Williams, Legacy Five, The Martins, the Bowling Family, Karen Peck & New River, Les Beasley, the Nelons, Triumphant Quartet and SGMG president Clarke Beasley. 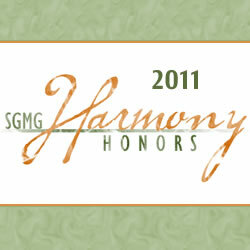 “Those who attended were really treated to an example of our music at its nest,” noted SGMG president Clarke Beasley. “The performances were strong and the production was rst class. We felt it really made a strong statement about the level of talent with which our music is blessed.” The award show aired on TBN.